Sadly we announce the peaceful passing of our dear sister Dorothy on August 11, 2018 at Bethania Personal Care Home. 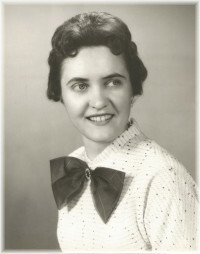 Dorothy was born March 13, 1928 on the family farm in the Golden Bay District. Being the eldest in a family of 8, she shared in doing all the farm chores. She attended the Golden Bay School which involved a 5 km round trip walk each day. Upon completing her schooling, she soon entered the workforce, working at a number of jobs before heading for Winnipeg to seek better employment opportunities. Eventually she upgraded her education to become a bookkeeper and retired from Federal Employment Service Commission. Left to mourn are her four sisters and two brothers, Helen Tober, Alfred (Marie), Loreen Kenyon, Edna Otto (Rolly), Adeline Kopp (Art) and Elmer (Suzie), along with several nieces, nephews, cousins and their families. Dorothy’s family would like to thank the many caregivers at Bethania, Lilac Lane. Dorothy was predeceased by her parents Julius and Helena (nee Buss) Hintz, sister Olga Okerlund, brothers in-law Vern Okerlund, Ben Tober and Myron Kenyon. The funeral service will take place on Thursday, August 16 at Faith Lutheran Church, 1311 Dakota Street, Winnipeg, MB at 11:00 a.m. with viewing one hour prior to the service. Interment will be in Zion Lutheran Cemetery, Beausejour. In lieu of flowers, donations may be made to Faith Lutheran Church, 1311 Dakota Street, Winnipeg, MB R2N 1V8 or a charity of one’s choice. 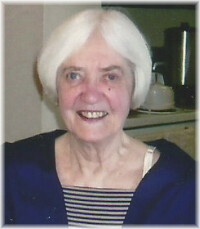 We were very saddened to hear of Dorothy’s passing. She lived a long full life and is now at peace with the angels in heaven—another guardian angel. Wishing you PEACE to bring comfort, COURAGE to face the days ahead and LOVING MEMORIES to forever hold in your heart. May God’s love console you.